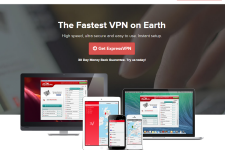 HideIPVPN is a relative newcomer in the VPN marketplace but it has quickly established itself as a reliable and cost effective service provider. 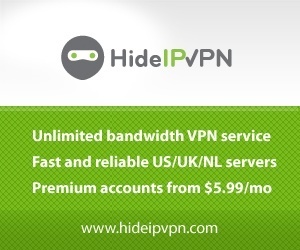 HideIPVPN is known for its affordable plans that provide unlimited speeds without any kind of usage caps. In this Hideipvpn review, we look at HideIPVPN’s features and what sets it apart from other VPN service providers. HideIPVPN has its VPN servers spread across United States, United Kingdom, Germany, Canada and Netherlands. While the number of locations is less, the service is at par with more popular service providers. The P2P activity is only limited to German and Dutch servers and is not available at other locations. However you are free to switch servers and get new IP addresses as many times as you want without paying any additional fees. HideIPVPN is also planning to start offering services from more countries so the number of countries should go up in the coming months. HideIPVPN offers unlimited bandwidth without any usage or download caps. This means you are free to download and stream as much content as you want without having to pay extra. With HideIPVPN service, you can now access content on sites like Hulu, BBC, Pandora, ITV and others without keeping an eye on usage statistics. Another great thing about the service is that they sell only a limited number of subscriptions per month so the existing subscribers never experience any loss of speed. 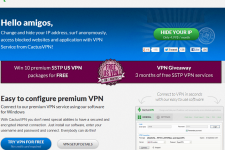 HideIPVPN provides anonymous internet surfing without revealing your IP address. The company also provides a free proxy with your subscription that allows you to use its services even from public computers. This makes HideIPVPN a great choice for people who cannot install VPN on their computers for some reason. The company doesn’t keep a record of user activities which means you internet usage is truly anonymous. HideIPVPN supports common protocols such as OpenVPN, L2TP/IPSec, SSTP and PPTP. The service supports Windows, Linux and Mac operating systems for computers and iOS and Android ecosystems for mobile devices. HideIPVPN provides excellent customer support through a ticketing system. However the company doesn’t provide live chat support or a toll free number which is often the fastest way to get answers to common technical problems. HideIPVPN offers a free 3 hour trial account that allows you to test its capabilities. The pricing is quite affordable and starts from $5.99 per month. Additionally, you will get discount you subscribe to half yearly or yearly plans. There is a 3-day money back guarantee that allows you to test different features of the service without worrying about a long term commitment. Your HideIPVPN subscription also allows you to use the same VPN account on multiple devices so you can subscribe once and use the same connection from laptops, desktops and other mobile devices. If you are looking for a fast, cheap and reliable VPN service provider, HideIPVPN fits the bill perfectly. While it doesn’t have servers in many countries, it does offer unlimited browsing at blazing fast speeds and several other features that makes it worth the price. To learn more about HideIPVPN and see if it is the right fit for you, please visit their website at: www.hideipvpn.com. 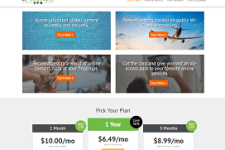 VPN One Click Review – Is The Service Worth Subscribing? L2TP/IPsec and Proxy, which includes dedicated P2P servers depending on what plans you purchase across all major operating system. Whilst I do not use Windows (except as a virtual OS), I found their set up instructions easy on OSX and IOS devices. You are allowed simultaneous connections and on your portable device, you can use the VPN on your standard 3G/4G/LTE connection in addition to WIFI. The service is fast and reliable, and customer service is good, either via their live chat, or email (and waiting up to a business day, which is the maximum wait is standard) If you can’t wait, use their chat or send them a message via Facebook. No logs are kept beyond the standard 3 days connection logs. The customer service is efficient and friendly, and whilst they offer free trial accounts, feel free to ask as many questions like I did to fully understand how VPN’s work. Whilst their country server listing is average, more servers countries are in the process of being added in the near future. Also, they have very frequent competitions (translate – a heck of a lot more than their competition) that gives away free monthly and half yearly competitions which are advertised on Facebook and other social media. Keep an eye out on their Facebook page or blog and you have a realistic chance of winning. Give them a go! I won one month premium access on my first attempt. I recommend giving them a go. I’m a very satisfied customer. I really like my HideIPVN service! Thank you for providing a discount. I had used other service providers before, but this is way better. Dare I say the best VPN Service!! !